Kalinga Lancers defeated Delhi Waveriders 1-0 in their first match of the 2017 Hockey India League and coach Mark Hager believes that it was more due to his team’s good play rather than the opponent making mistakes. A beautifully converted goal from the penalty corner by Gurjinder Singh in the fourth quarter was enough to seal a win for the home side, in a match that provided a great deal of entertainment throughout. The fifth edition of Hockey India League commenced on Saturday and Kalinga Lancers became the first team to register a win in the tournament after Dabang Mumbai managed to hold Ranchi Rays in the opener. Kalinga Lancers are a solid side with plenty of experience within their ranks and would be looking to make it two wins in a row when they take on Ranchi Rays later this evening. Defeating Delhi Waveriders is going to give a lot of confidence to Kalinga Lancers, given the solidity of the former, who had the likes of Rupinder Pal Singh and Mandeep Singh among others. Quite interestingly, Lancers used different goalkeepers in the two halves and both of them performed well. Hager spoke about Pandey and said that the Indian stopper was in good form and he could feature a lot more in the season. “Fortunately for us, both keepers are performing really well and the benefit of having Pandey is that he allows us to put five foreign players in the field,” Hager said. Lancers take on Ranchi Rays in their second match today and they willl be up against a side, which would feel hard done by the result on the opening day against Dabang Mumbai. The 2017 Hockey India League is underway and if the opening two matches are any indication of what is to come, hockey aficionados are in for a treat in the coming month or so. The game between Kalinga Lancers and Ranchi Rays promises to be a cracker, given the attacking nature of both sides and the presence of experienced players. 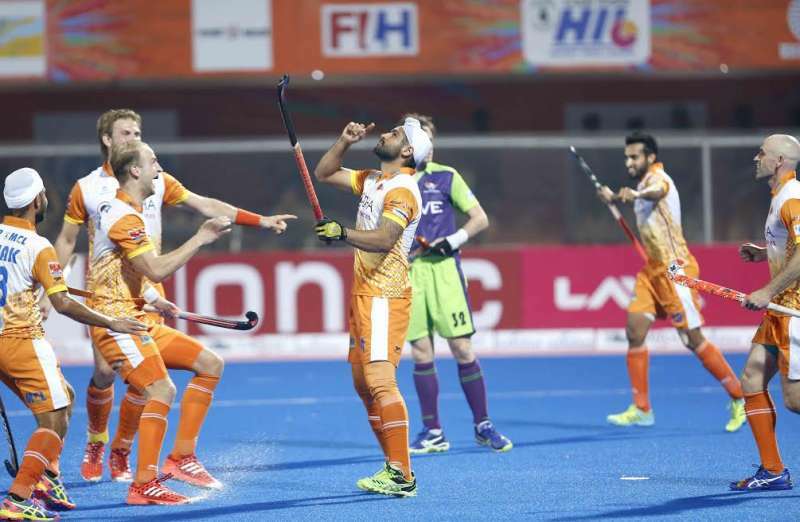 Another point to be noted is the rising number of drag-flickers in India and Gurjinder’s neat finish last evening was an example of the same.